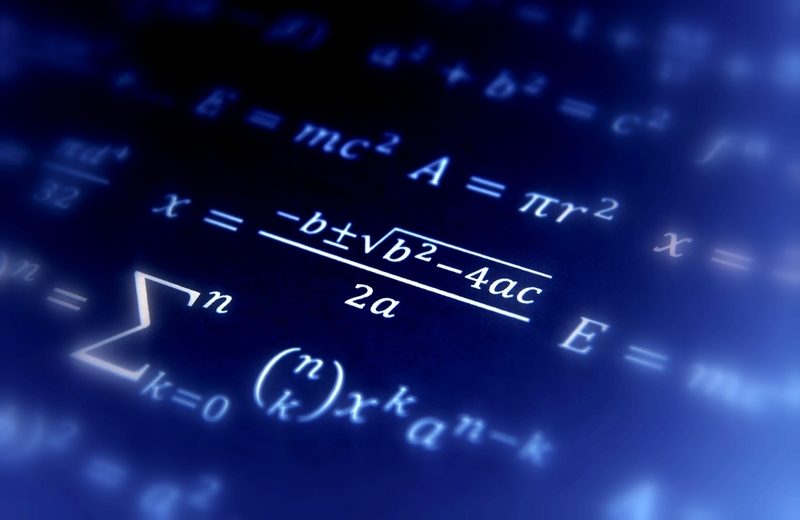 Linda P. asks: Why do we always use “x” for everything in math? The 1909-1916 edition of Webster’s Dictionary, among others, also puts forth a similar theory, although stating that the Arabic word for the singular “thing,” “shei,” was translated into the Greek “xei,” and later shortened to x. Dr. Ali Khounsary also notes that the Greek word for unknown, xenos, also begins with x, and the convention could simply have been born of an abbreviation. But here, again, we have a lack of any direct documented evidence to support these theories. As for a documented theory, we turn to the great philosopher and mathematician, René Descartes (1596-1650). It’s entirely possible Descartes did not come up with the practice of using “x” for an unknown, perhaps borrowing it from someone else, but at least as far as documented evidence that has survived to today goes, he seems to be the creator of the practice, as noted by the OED and the phenomenal work by Florian Cajori, A History of Mathematical Notations (1929). At the least, Descartes’ helped popularize the practice. Why? And why x more than y, and z for unknowns? Nobody knows. It has been speculated that the prominence of x being used more than y and z for unknowns in this work had to do with typesetting; one story goes that it was Descartes’ printer who suggested x be the principle unknown in La Géométrie because it was the letter least used and so the one he had more letter blocks available to use. Whether this is true or not, Descartes used the x to be an unknown at least as early as 1629 in various manuscripts, well before La Géométrie. And, indeed, it would seem he had not come to any hard rules on x, y, and z indicating unknowns; in some manuscripts from this time, he actually used x, y, and z to represent known quantities, casting even further doubt on the supposed “unknown thing” translation theories listed above. Whatever the case, as with Descartes’ notation for powers (x3), after the publication of La Géométrie, the use of x as a principle unknown (as well as the more general tradition of a, b, c = knowns and x, y, z = unknowns) gradually caught on. And the rest, as they say, is mathematical history. The word “algorithm” comes from none other than al-Khwarizmi’s name. If you distort the name slightly when you say it, you’ll get the connection. The Programme for International Student Assessment (PISA) assesses the competencies of 15-year-olds in 65 countries and economies, including in math. For 2012, the country/economy with the highest scores in math was Shanghai-China, which was closely followed by Singapore, Hong Kong-China, Chinese Taipei and Korea. Notably, Canada ranked 13th, Australia 19th, Ireland 20th and the United Kingdom 26th. The United States’ kids ranked 36th. In fact, according to PISA, the performance of one of our highest-scoring states, Massachusetts, was so low, it was as if those students had two fewer years of mathematical education than the students in Shanghai-China. PISA also noted that although the U.S. spends more per student than most countries, this doesn’t translate into performance. In 2012, per-student spending in the U.S. was listed at $115,000, while in the Slovak Republic, a country that performed at the same level, they spend only $53,000 per student. It should be noted of the PISA’s results, though, that they are drastically over simplified. For instance, as noted in a report by Dr. Martin Carnoy of Stanford and Richard Rothstein of the Economic Policy Institute, American students actually perform better than the much higher ranked Finland in algebra in general, but worse in fractions. Further, when you normalize the results between the countries adjusting for the relative poverty of the students taking the PISA tests, the U.S performs significantly better, ranking 6th in reading and 13th in mathematics, a huge jump in both categories. They further note in their report What Do International Tests Really Show About U.S. Student Performance? that when you divide the kids based on family wealth, the actual gap in performance isn’t so stark between countries, with a not insignificant portion of the ultimate ranking of each nation being based on how many impoverished vs. middle class vs. wealthy students are taking the tests. For reference, about 40% of the schools the PISA used in the U.S.’s sample had more than 50% of their students eligible for free lunch. Despite their results being oversimplified, the PISA identified several weaknesses in American students’ math skills and these included developing a mathematical model to solve a real-world problem and reasoning with geometry. PISA noted that were the Common Core Standards successfully implemented in the U.S., it should yield significant performance improvement. The Common Core Standards seek to focus mathematics education on developing conceptual understanding of key math ideas, as well as mastering basic math skills. To date, Common Core standards have been adopted by 43 states. An important thing to note, however, is that although the states have adopted these standards, each is free to choose the curriculum it implements. Some have chosen a curriculum that is unrecognizable to many parents, who are now frustrated and identify this as a problem with the Common Core, when in fact Common Core is just a list of competencies kids should know by the end of each school year, not how they should learn these concepts. 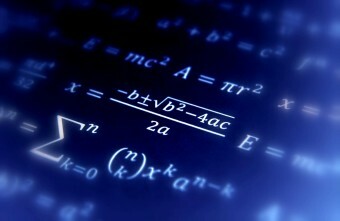 As for implementations, one math curriculum under fire is Everyday Math, developed by The University of Chicago. With methods previously not seen by many American parents (lattice multiplication anyone? ), the new curriculum has some pulling their hair out. As one mom said, “I hate the Common Core . . . .I can’t help my kid with his homework and I don’t understand the new methods at all.” But, again, this particular complaint in truth has nothing to do with Common Core, but with Everyday Math. Also, Al-gebir is where we get the word “gibberish” from. “the ck sound”? Oh Come On. In Castilian Spanish up to at least the time of the conquest of México, the Latin letter ‹x› represented the sound we call ‘sh’. Relics of that pronunciation include the English word for wine from Xerez: ‘sherry’. The distinction between ‹x› and ‹j› was later lost, and they’re now both pronounced like, well, Greek chi; that city’s name is now written Jerez. Asturian, a language related to modern castellano (Spanish) can be traced back at least until 1085 AD when Alfonso VI issued the fuero d’Avilés. The moors were never successful is permanently conquering Asturias, and were driven out by Pelayo’s forces in the early 700s. Asturian uses the letter pronounced like the English”sh” is many words. “Xana” ( kind of water fairy), xabon (soap), echar la xata (to vomit), and many other examples abound. Asturian (asturianu) is still spoken in Asturias in northern Spain, and in small pockets of descendants of Asturian emigrants in other areas, including some towns near Clarksburg, West Virginia. So that’s why “x” is the common variable? I thought it was because most other letters were already used for standard notations and universal constants (e.g. e, c, k in summations, i and j in table indices, f for functions, r and d in geometry, etc.) and somebody chose x because it was little used. Regarding “Common core”, it’s not the solution to the US’s education problem, it’s a phony idea intended to fool people into believing something is being done. The US’s education problem is an economic one. Funding for schools is taxed based, and ONLY at the local level. So if you live in a wealthy area (valuable property, wealthy taxpayers) the school district is well funded and offers a good education. But if you live in a poor area (renters, low income housing) schools get little or no funding and the quality of education is poor. Very few areas are rich while many are poor, so few kids get good educations. Poverty begets poverty, which is exactly what the wealthy in the US want. In most other countries, taxes are collected at the regional or national level and distributed equally on a per-student basis. That means ALL school districts can offer the same high level of education, and countries end up with a more educated and wealthy populace. Education needs to be socialized for the benefit of all just as much as like police, roads, and fire departments are. And then there’s the US’s screwed up post-secondary education system which puts many people $100,000 in debt by age 25, including “private universities” which offer useless “degrees” that won’t get people jobs. Canada leads the world with 51% – FIFTY ONE – of adults who hold at least a Bachelor’s Degree college education, and yet tuition is a third of what it is in the US, even at the most prestigious universities (e.g. U of Toronto, ranked #20 in the world, and only the US has more in the top 50). The exact word used by Muhammad Khawarzmi in his book was “Shei”, which means ” a thing”. It’s very likely that it was replaced by the letter “x”. The PEMDAS rant was fun, but the conventional order of operations has no ambiguity about 8 -2 + 1. As pointed out in many comments on the U-tube web site for this video, addition and subtraction are on the same level and in the absence of parentheses, these operations are performed from left to right. Similarly for multiplication and division. Drinking too much coffee and talking rapidly is not the same thing as having revolutionary insight. Morally wrong? Humans into robots? While I found the information in “The Origins of Mathematical Conventions….” useful and entertaining, perhaps you should consider removing the link to this silly PEMDAS rant. Yeah, I wish he’d redub the video without that error in it. It’s P E (MD) (AS). Everything he says except that part at the beginning is solid. Since there are many students who do indeed think that multiplication comes before division and addition before subtraction (the former confusion causing Internet fights with people from BODMAS countries), he could even leave the example in but change the voiceover to point out that PEMDAS leads to this confusion. Intriguing. I’d expected it to be that X was a major number in Roman numerals, marking the 10, and there was no similar-looking character in the Arabic numerals. Looks like I was wrong! Cogito ergo sum is a Latin philosophical proposition by René Descartes usually translated into English as “I think, therefore I am”. The phrase originally appeared in French as je pense, donc je suis in his Discourse on the Method, so as to reach a wider audience than Latin would have allowed. It appeared in Latin in his later Principles of Philosophy.